Cell Essentials is a Boston-based Contract Research Organization founded in 1998. We provide contract cell biology-based services facilitating the creation of reagents for use in diagnostics and drug discovery as well as for basic research. Major services include the development of custom hybridomas, production and purification of monoclonal antibodies, large scale cell culture, transient and stable cell line development, and cell-based assay development. 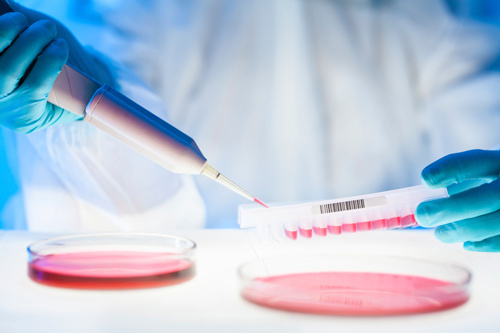 If your research involves the use of cells, Cell Essentials can provide the expertise and personnel to successfully carry out your project. The primary goal for Cell Essentials is to deliver excellence in science and service to its clients. Contact us to discuss your project and for custom quotes. Development of hybridoma cell lines that secrete monoclonal antibodies that recognize specific client-designated antigens. Biacore services are also available. Small and large scale production and purification of monoclonal antibodies from existing hybridoma cell lines. Hybridoma Rescue & Recloning: Proprietary technology to rescue hybridomas from a poor freeze. Also, identification, selection and cloning of the highest antibody-producing cells. Biacore: Biacore’s technology provides a detailed view of the dynamics of antibody/antigen complex formation.